Where will you go first on the METRO Green Line? There are so many destinations to choose from: the history of the Capitol City, the cuisine along University Avenue, the energy of the University of Minnesota campus, the bustle of downtown Minneapolis. Check back to this page for more information as opening day approaches. METRO Green Line trains will charge the samefares as the METRO Blue Line. Green Line trains will begin service at 5 a.m. and run until about 1 a.m. seven days a week. Trips will operate every 10 minutes throughout the day; every 10-15 minutes evenings. To coincide with the opening of the Green Line, Metro Transit will realign bus routes to maximize connections with trains. For more information on community celebrations or to get involved in planning opening day, please contact:greenlinecelebration@metrotransit.org or 612-353-4889. LOCAL PUBLIC TRANSIT: Connections to downtown Minneapolis, downtown St. Paul, Uptown, Dinkytown, West Bank, etc. are easy via several major bus lines located on adjacent and nearby streets. Click here to plan your route and schedule on the MetroTransit trip planner. UNIVERSITY SHUTTLES: The East Bank Circulator stops at McNamara Alumni Center, just a few short blocks away. Click here to see the Campus map with Campus Connector and Circulator routes and stops. REGIONAL TRANSIT: Service from Duluth and other regional cities as well as other states is easy to access at the Jefferson Lines transit stop located within one block of all Dinnaken Properties buildings. 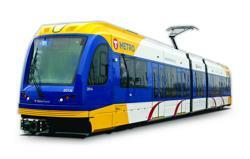 Click here to see the Jefferson Lines schedules and directory of Minnesota cities serviced. I-35W: Exit at University Avenue/4th Street (Exit 18). Turn East at the first traffic signal onto University Avenue and head to Ontario - turn right. All Dinnaken Properties are located within 1/2 block of Ontario. I-94: Exit at Huron Boulevard (Exit 235B). Make an immediate left turn at the first traffic signal (Fulton Street).Go to Ontario Street. All Dinnaken Properties are located within 1/2 block of Ontario. BIKES: Several bike routes surround Dinnaken properties, including the Mississippi River Parkway, University Avenue, etc. click here to see an interactive map of Minneapolis bike routes.